Vector supports ODX in all diagnostic-related products, providing a simple and effective way to handle ODX diagnostic data. Since 2001, Vector is contributing to define the ODX standard in ASAM and ISO working committees. ODX is now released officially as ISO 22901-1:2008. Some automotive OEMs and suppliers are already integrating ODX into their development processes. It is now apparent that in practice the flexibility of the ODX standard leads to different ODX dialects. Vector strives to meet the challenge of supporting these ODX dialects in all phases of the diagnostic process. Your constructive feedback will be integrated into the product development and makes our products even more efficient. The Open Diagnostic eXchange format (ODX) is an XML-based ASAM standard for describing diagnostically relevant ECU data. Vehicle, ECU and tester manufacturers can use the uniform, OEM-independent ODX format to describe and exchange ECU diagnostic data. 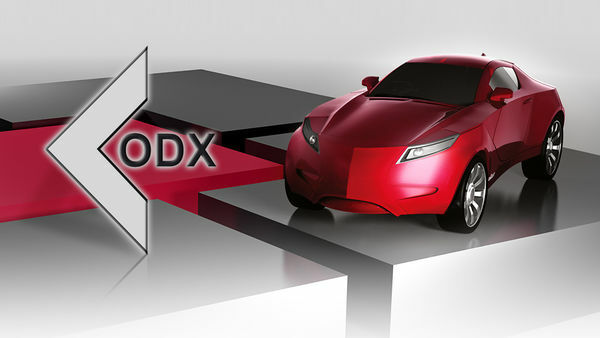 ODX was designed to be an open exchange format, and is a good choice for use in joint projects between automotive OEMs. Both ODX data and CANdela CDD data are described in XML. Due to its high flexibility and broad coverage of diagnostic use cases, ODX is enjoying increased popularity among OEMs and suppliers. Nonetheless, its high flexibility is associated with considerable complexity. Consequently, when ODX data are created without supporting tools, extensive expert knowledge is assumed. Vector’s answer to this is the CANdela approach: The user encounters a diagnostically-driven perspective of the data. A key aspect here is that it is not necessary to possess special expertise or knowledge of the underlying formats to create the data. With the migration and implementation of ODX it makes sense to simultaneously optimize development processes. The aspects of universality and reliability play a great role here. They make it possible to achieve sustained time and cost savings. In most cases existing data and components must continue to be used in a migration, which results in an increased need for data migrations and process adaptations. That is why diagnostic tools from Vector are made to be adaptable to your special requirements, so that optimal use of our tools is assured. Vector can provide you with both technical consultation and adaptation or customization of Vector tools in service projects. Vector gives you the best conditions for implementing your requirements. The knowledge of our experienced employees is your advantage in coming up with efficient and customer-specific diagnostic solutions. ODX authoring guidelines are gaining in importance due to the introduction of ODX. In this area, Vector is able to call upon its comprehensive experience in numerous customer projects. Authoring guidelines ensure optimal and customized use of ODX in an exchange process and in the underlying tool chain. They take the flexibility of the standard and limit it to a dimension appropriate for the process chain. Conformance to authoring guidelines is checked frequently using special checker applications. Vector can offer you the necessary expertise for this task too. Do you have any questions about our services or special requirements? The first cross-OEM project involving ODX project in the world was conducted between two leading automotive OEMs using the CANdela tool chain. The project involved two vehicle models. OEM 1 used CANdelaStudio to create the diagnostic descriptions to be exchanged between the process partners. Data was exchanged using ODX 2.0 (2.0.1).